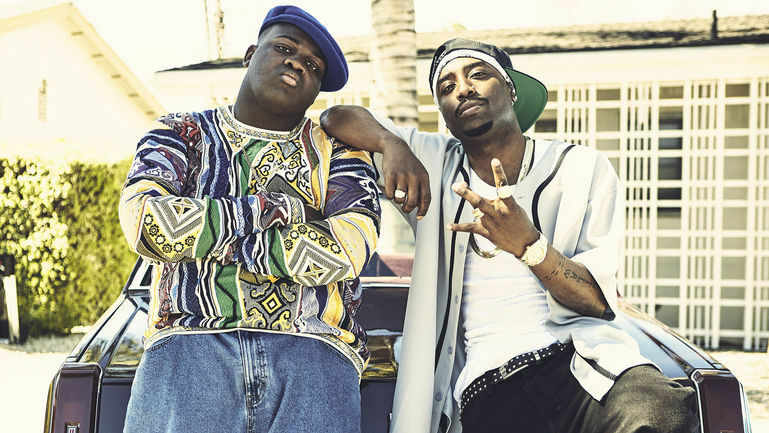 USA Network has released the official trailer for its upcoming fictionalized true-crime series chronicling the two murders of Tupac and the Notorious B.I.G., helping build anticipation for its winter release. The series, Unsolved: The Murders of Tupac and the Notorious B.I.G., is directed by Emmy Award-winner Anthony Hemingway, who worked on The People v. O.J. Simpson: American Crime, and will follow the story of the LAPD detectives who worked tirelessly to solve the murders of the legendary rappers, which to date, remain unsolved. The show's cast comprises of Marcc Rose playing Tupac, Wavvy Jonez playing Biggie and the two detectives, who worked the case nearly ten years apart, are played by Jimmi Simpson and Josh Duhamel. As reported, former LAPD Detective Greg Kading, who invested the murders in real life, will serve as co-executive producer, taking on a role that hopefully will help give the true-crime series some firsthand authenticity. The series is set to premiere on USA Network this winter. First Thoughts: Tink "Winter's Diary 4"